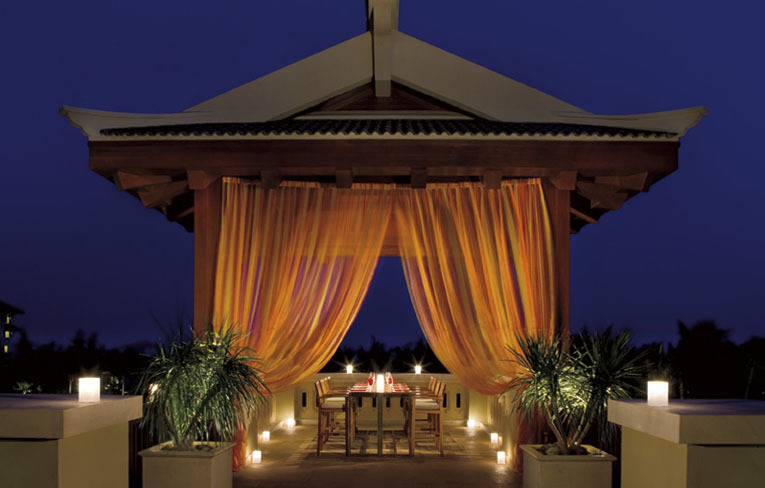 The Culinary Shell - a host of eight dining outlets - will please discerning palates with signature favorites, seasonal offerings and even personalized dishes and beverages. The Kids Club area consists of a waterslide, kids pool with shower, outdoor play area, "Vegetable Garden" as well as themed air conditioned kids club. Located just a few miles away, the Yalong Bay Golf course and Sun Valley Golf Club offer championship golf in a lush setting. 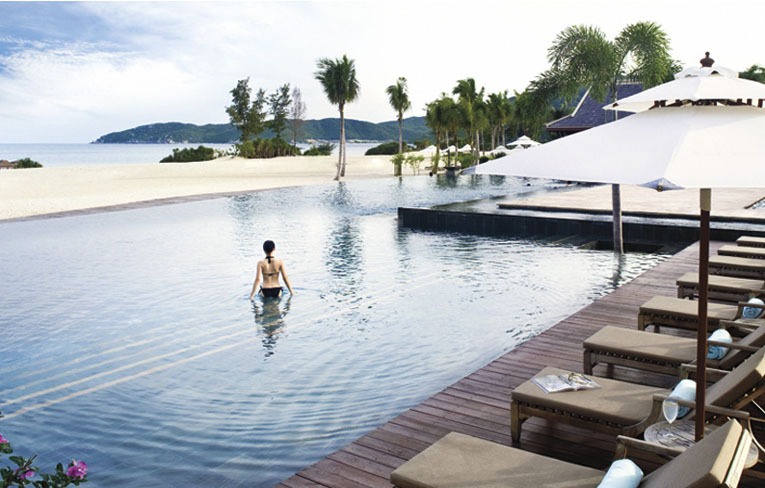 Augmented with unspeakably lovely climate, Sanya possesses all the necessary elements needed for a perfect tourist destination. At Sofia, the stage is set for an exceptional southern Italian cuisine. With the finest ingredients and traditional cooking technique creating distinctive taste and aromas, the culinary flair escalates the into a sensual gastronomic experience. 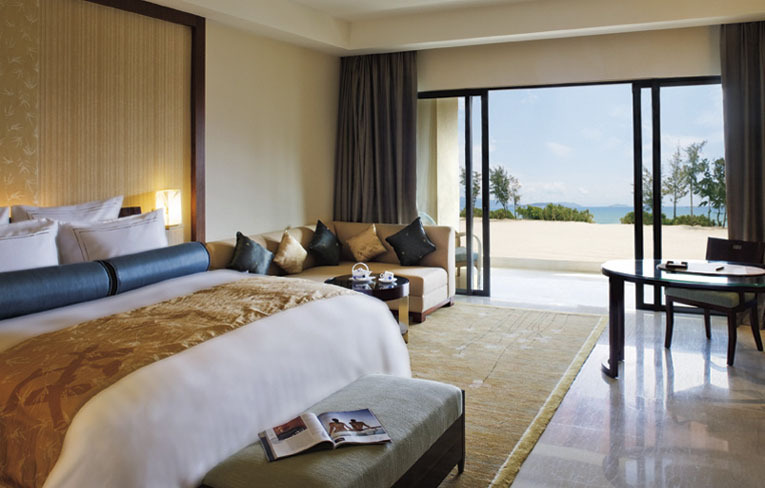 The Ritz-Carlton, Sanya features 450 well-appointed guestrooms, including 334 oversized guestrooms at over 60 square meters and 67 rooms and suites on The Ritz-Carlton Club level with distinctive amenities. 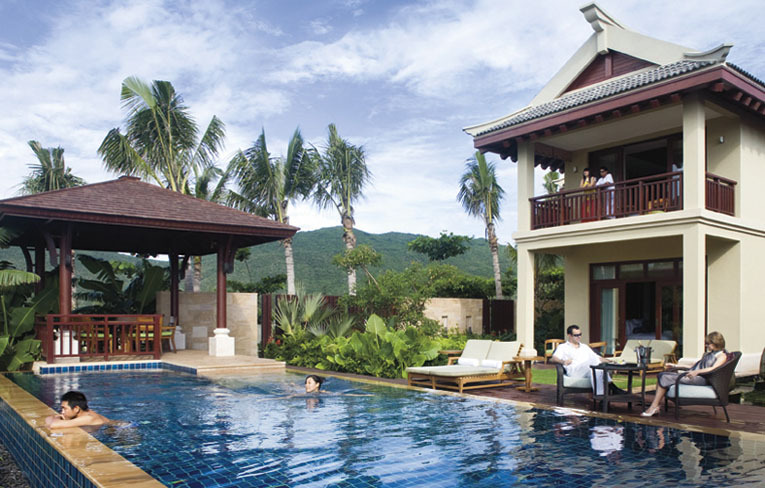 The 16 suites and 33 private villas with individual pools offer the ultimate privacy. 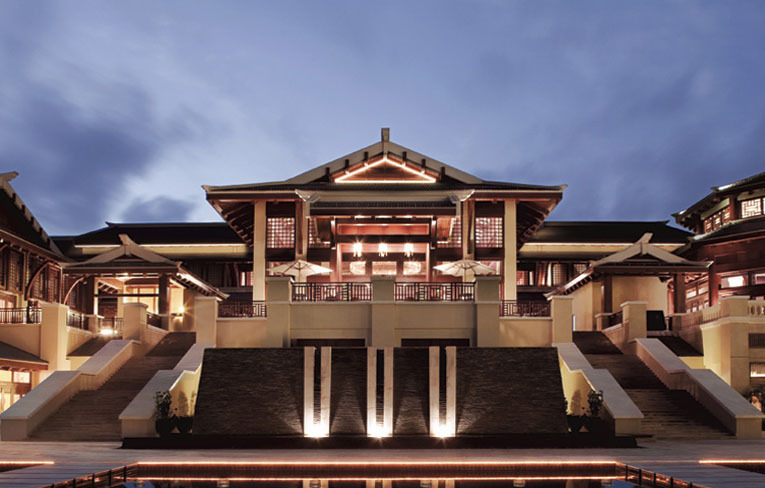 Unwind in ESPA at The Ritz-Carlton, Sanya, a 2,788-square-meter (30,009-square-foot) spa, one of the largest in the region. 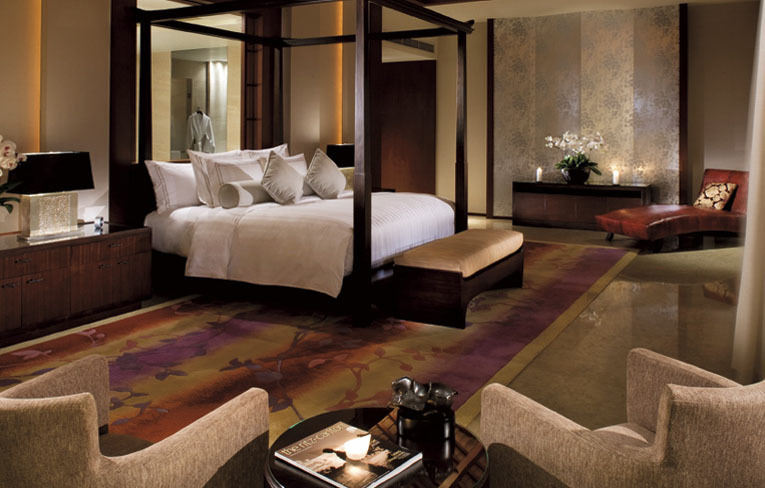 The resort has partnered with ESPA, offering lavish and relaxing therapies and beauty treatments, along with a line of exclusive ESPA products. Lying in the southernmost tip of Hainan Island, Sanya is a beachfront tropical city where the mountains, rivers, sea and sky are matched in perfect unison. The city is bestowed with ten eminent tourist resources, sunshine, crystal clear water, pristine beaches, lush forests, exotic animals, refreshing hot springs, exciting grottoes, country scenes, ethnic culture and historical relics. 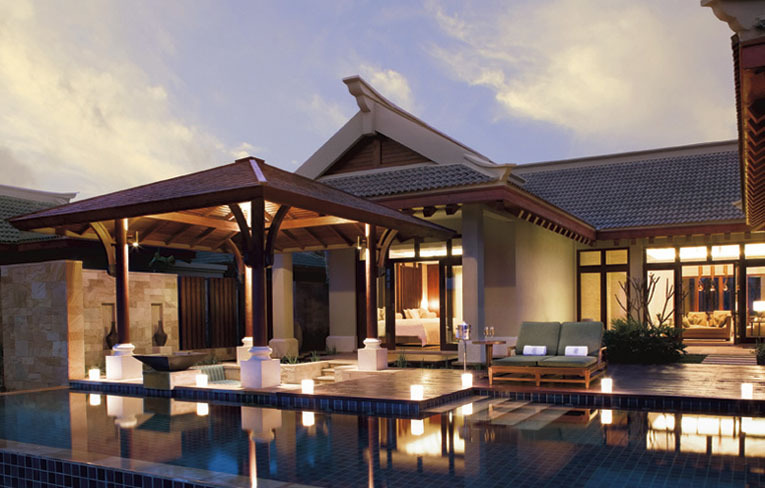 The Ritz-Carlton, Sanya is pleased to offer four stunning pools including an amazing beach front pool with infinity edge, two relaxing lagoon pools and children will enjoy the Ritz-Kids pool, complete with slides and water sprayers, adjacent to the Kids Club. 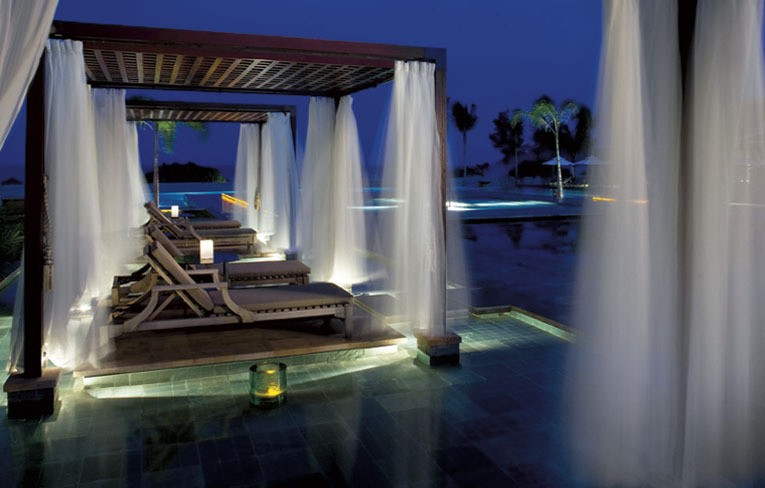 First floor Bay and Sea wings offer direct access to the resort's two Lagoon Pools. Located in the pool, Cube bar features the VJ, the vitamin jockey and lady coco who introduce an innovative spin on cool beverages that quench the thirst of sunbathers and swimmers lounging poolside. Tasty snacks and delectable temptations are also offered throughout the day and upbeat chill out music in the evening. Welcome to Uncle Martin's Secret Garden! 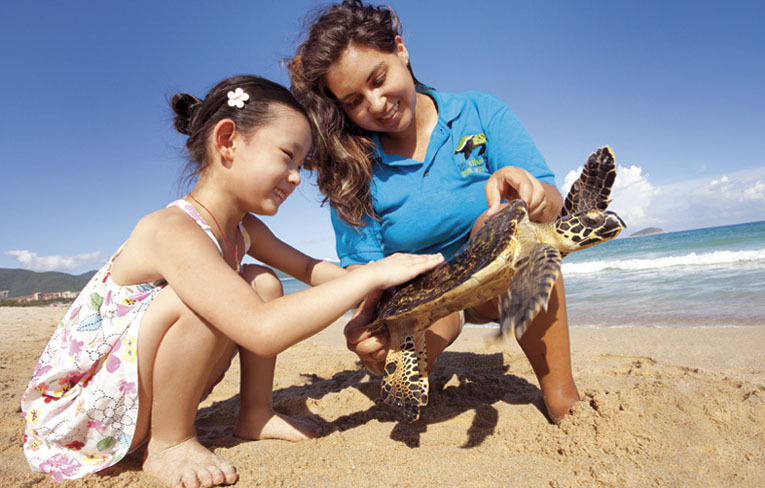 It is a colorful heaven where little friends can learn about tropical fruits and vegetables, meet newly hatched baby chicks, make friends with rabbits, guinea pigs, and even say "hello" to sea turtles. Newly launched Kids' Passport gives children a variety of suggestions to explore more activities at hotel.